Home / Vinyl Window Installation / What to Ask Referrals When Hiring a Vinyl Window Installer? How to Connect with every Reference on the potential Vinyl Window Installer List. Were you satisfied with the completed work? Were there any unexpected costs? If so, what were they? Would you personally use this installer again? What one thing would you change about this window replacement experience if you could to make it easier on yourself? Did the installer and his workers show up on time? Did the installation crew keep the jobsite clean? Did the crew remove all trash in a timely manner? Would you recommend this installer to family members? Did the installation crew respect your home and your property? We have grown our business through word-of-mouth referrals. We have been lucky to have so many homeowner’s like our work, customer service, and honesty. It makes us proud to have so many people contact us due to their friend, family, or neighbors. 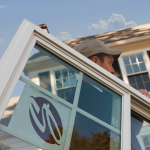 We have servicing Metro Atlanta for over 20 years.